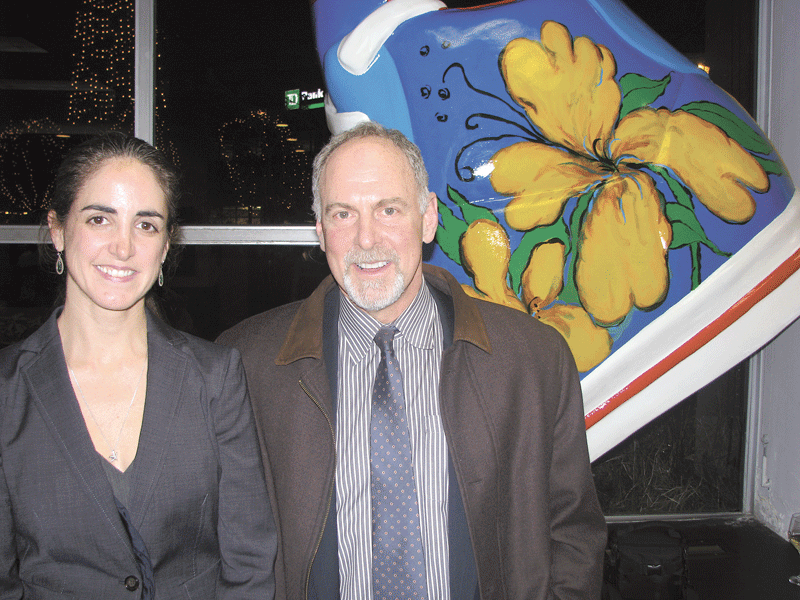 Organizers of the Art & Soles project, which brought colorful, five-foot-high sneakers to downtown Springfield, staged the official gallery opening for the celebrated footwear on Dec. 13 at 1351 Main St. 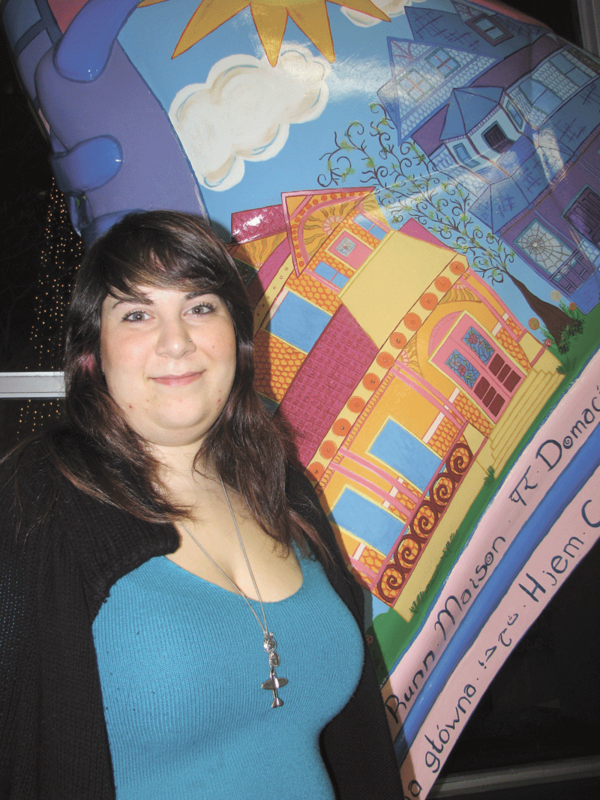 Many of the artists were in attendance, as well as project coordinators and friends of the arts. 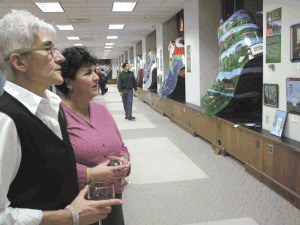 At left, Evan Plotkin, president of NAI Plotkin, and Maryann Lombardi, director of Creative Economy at UMass Amherst and a program organizer, admire the works of art. Below left, Nancy Urbschat, left, owner of TSM Design and a project organizer, admires some of the sneakers along with Sue Bader, a life insurance consultant with Epstein Financial. Below, artist Misha Epstein with her sneaker, a tribute to the historic homes in the McKnight section of Springfield. 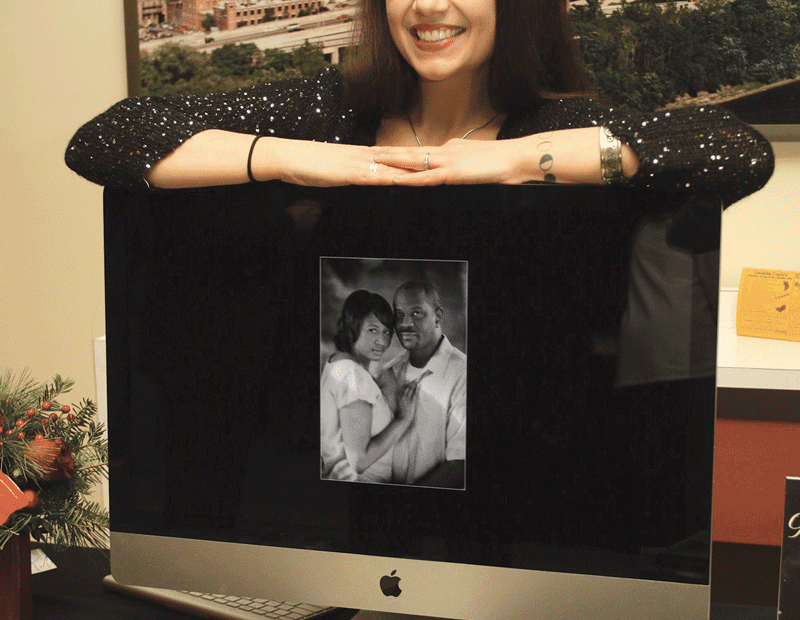 A resident of that area, she called her sneaker “In My Neighborhood,” and along the bottom, the word ‘home’ appears in 23 languages. 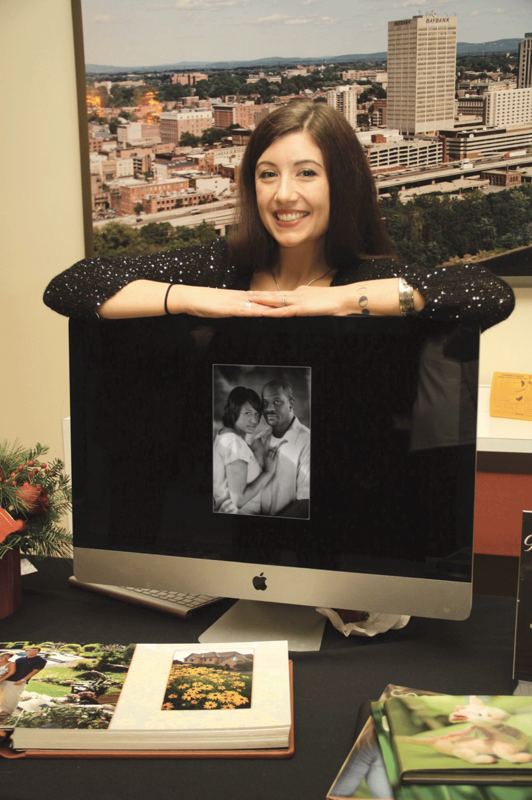 The Affiliated Chambers of Commerce of Greater Springfield staged their annual holiday After 5 event in Tower Square on Dec. 8. 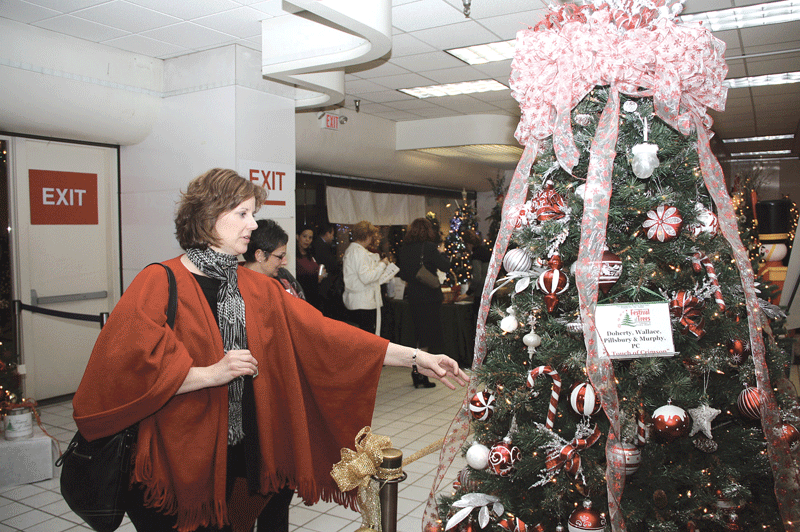 The event was held outside the Festival of Trees, giving attendees a chance to see this year’s collection and enter the raffle to win one of the dozens of entries. 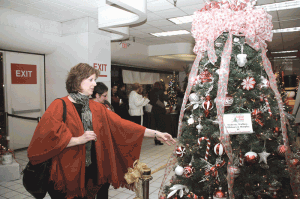 Far left, a visitor admires one of the trees. 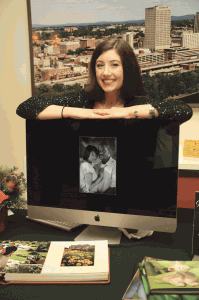 At left, Courtney Merrill greets visitors to the booth of Robert Charles Photography, one of the event’s sponsors.